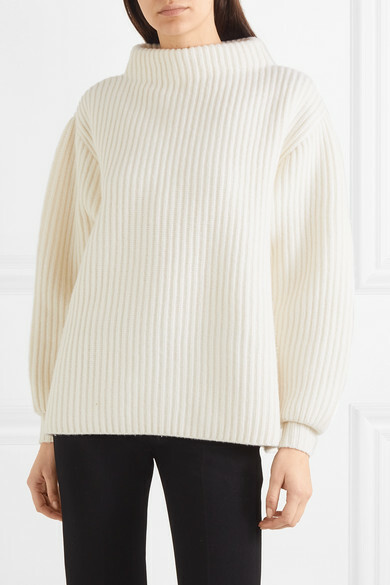 Alaïa may be known for its figure-hugging dresses, but this turtleneck sweater proves the label does knitwear just as beautifully. 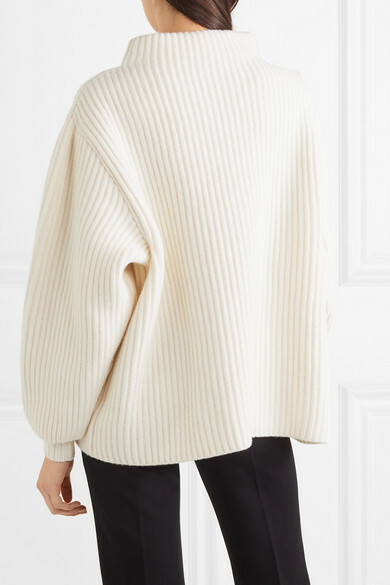 Expertly knitted from weighty wool, it's cut for a loose, boxy fit and has a tactile ribbed finish. Half-tuck yours into a sleek skirt or jeans. 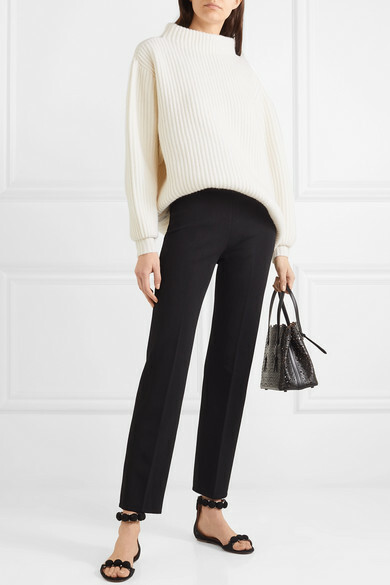 Shown here with: Alaïa Pants, Alaïa Tote, Alaïa Sandals.